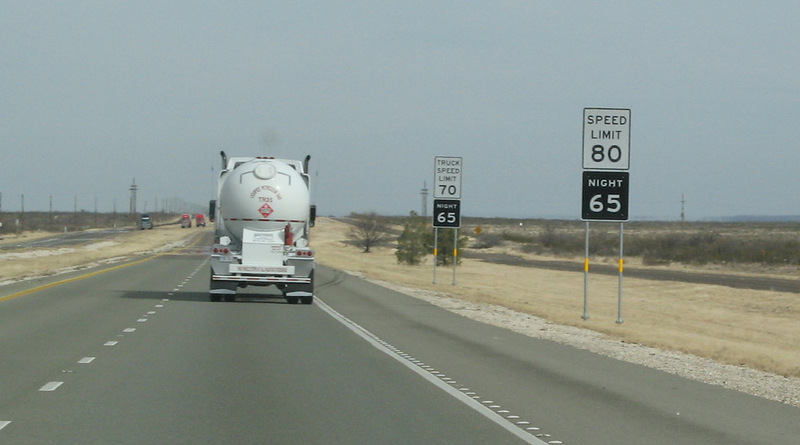 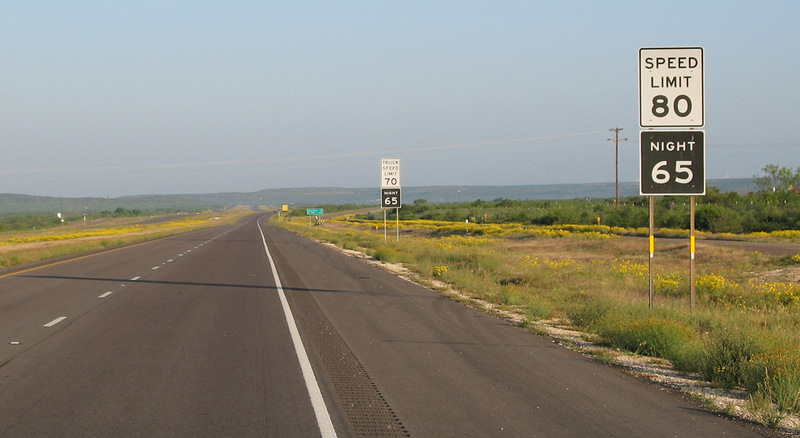 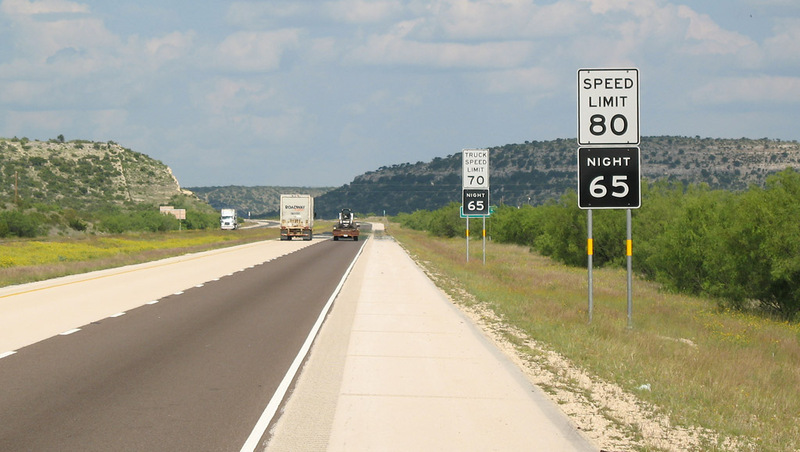 80mph speed limit signs were unveiled in west Texas in May 2006. 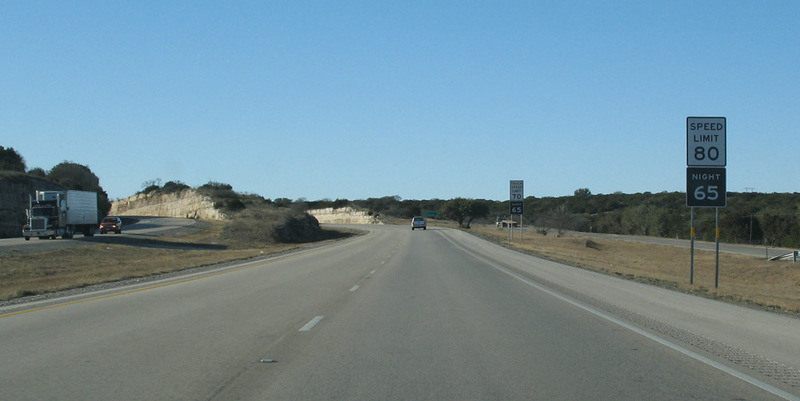 See the official TxDOT press release. 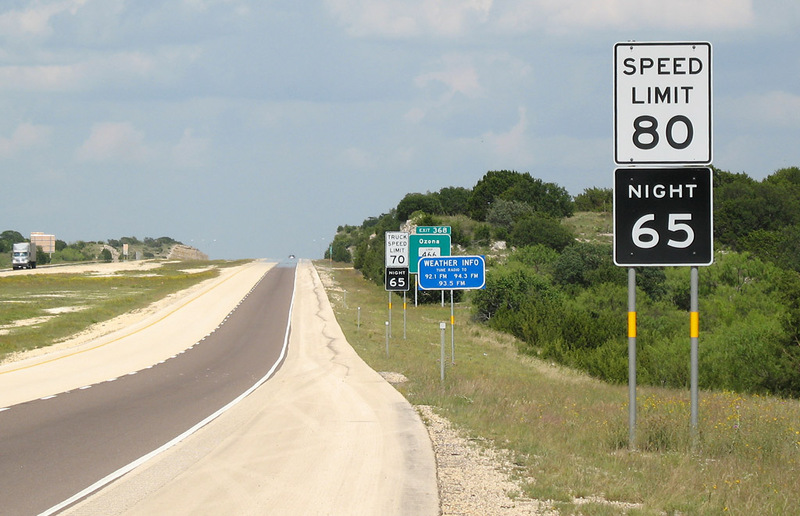 This is reportedly the highest posted speed limit in the United States as of January 2007. 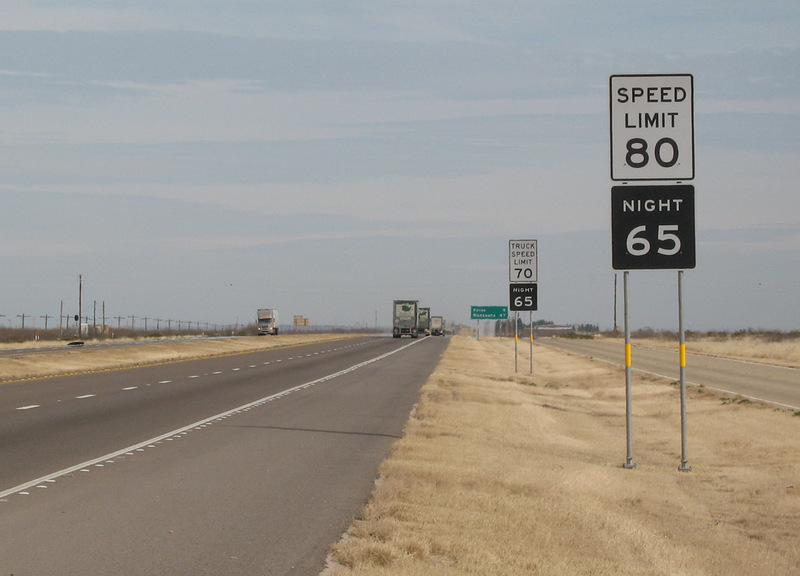 Legislation authorized the 80 mph speed limit in the daytime on I-10 and I-20 in Crockett, Culberson, Hudspeth, Jeff Davis, Kerr, Kimble, Pecos, Reeves, Sutton, and Ward counties. 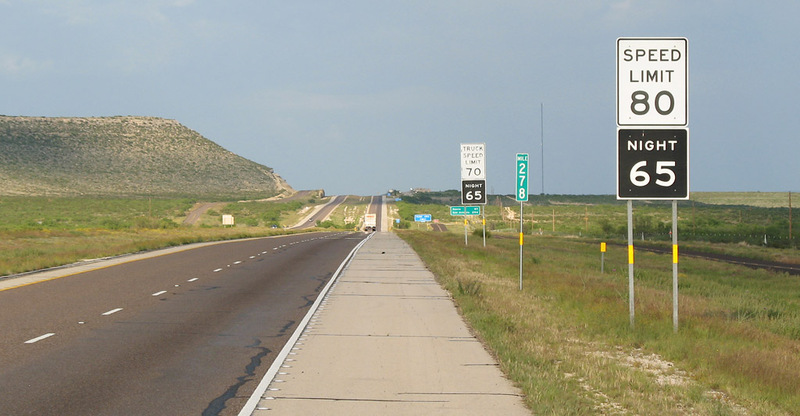 This translates to about 460 miles of I-10, east of El Paso to northwest of San Antonio, and 86 miles of I-20 west of Odessa. 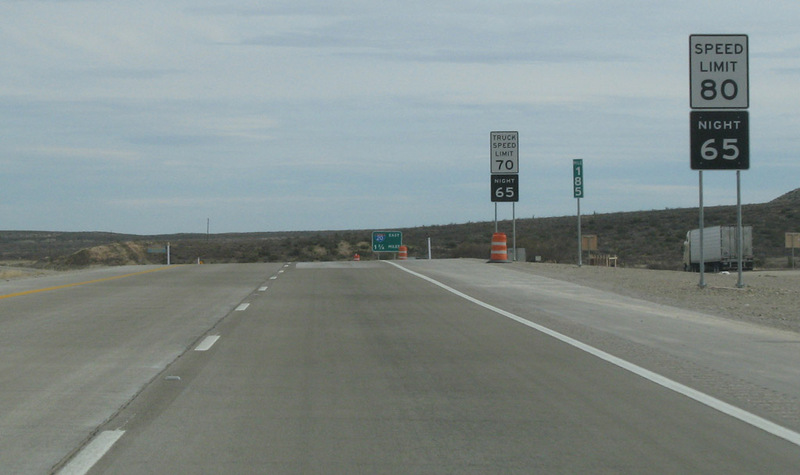 In January 2007 I made my first visit to the area since the new signs were erected and took these photos. 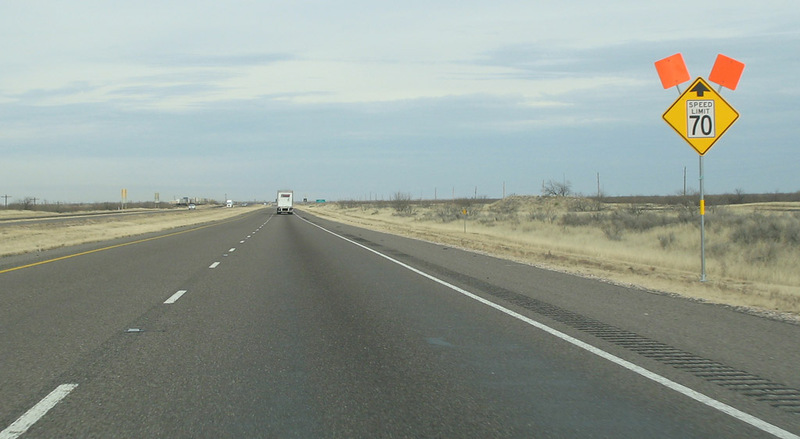 These photos were taken on two trips: the first on January 7 and 11, 2007, and the second on May 12-13, 2007.